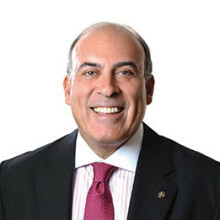 Muhtar Kent is Chairman of the Board of Directors of The Coca-Cola Company. From 2009-2017, he served as the Company’s Chairman and Chief Executive Officer. Previously, he was President and Chief Executive Officer and earlier, President and Chief Operating Officer. Mr. Kent joined The Coca-Cola Company in Atlanta in 1978, holding a variety of marketing and operations leadership positions over the course of his career. In 1985, he became General Manager of Coca-Cola Turkey and Central Asia. Beginning in 1989, he served as President of the Company’s East Central Europe Division and Senior Vice President of Coca-Cola International, with responsibility for 23 countries. In 1995, Mr. Kent was named Managing Director of Coca-Cola Amatil-Europe, covering bottling operations in 12 countries. In 1999, he became President and CEO of the Efes Beverage Group, a diversified beverage company with Coca-Cola and beer operations across Southeast Europe, Turkey and Central Asia. Mr. Kent returned to The Coca-Cola Company in 2005 as President and Chief Operating Officer of the Company’s North Asia, Eurasia and Middle East Group, an organization serving a broad and diverse region that included China, Japan and Russia. Less than a year later, he became President of Coca-Cola International, leading all of the Company’s operations outside North America. In 2006, he was named President and Chief Operating Officer, and he became CEO in 2008. Mr. Kent holds a Bachelor of Science degree in Economics from the University of Hull in England and a Master of Science degree in Administrative Sciences from Cass Business School, City University London. Active in the global business community, Mr. Kent is a member of the board and past Co-Chair of The Consumer Goods Forum, past Chairman of the International Business Council of the World Economic Forum, a board member and past Chairman of the U.S.-China Business Council, a past board member of the National Committee on US-China Relations, and past Chairman Emeritus of the U.S. ASEAN Business Council. He serves on the boards of 3M, Special Olympics International, Catalyst, Cambridge China Development Trust and Emory University.